Exploring matter and energy in kindergarten and first grade is so much fun. 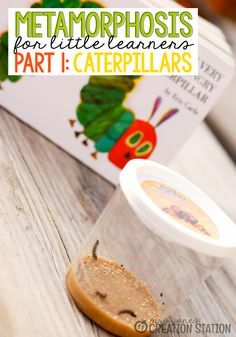 Watching little ones see the objects around them scientifically is exciting and a tad bit adorable. But nothing beats the surprise as they see matter change before their eyes. 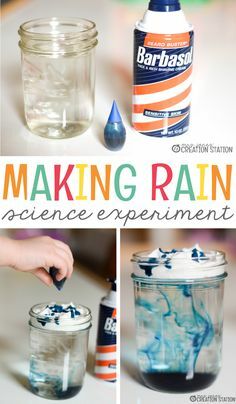 Teaching states of matter may take a lot of preparation and experiments, but putting in the extra effort will be worth it when your littles are enjoying this scientific exploration. If you know me, you can probably guess that I love introducing new concepts with a new song. 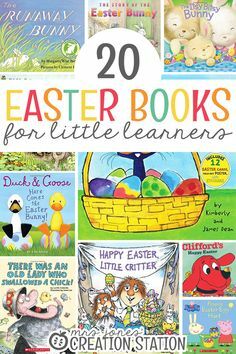 I think most early childhood teachers can relate! 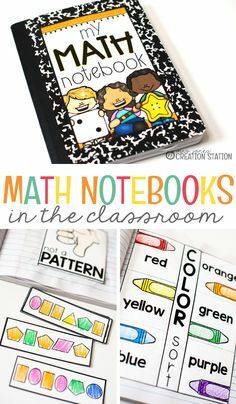 Teaching states of matter is no different! We learn the song throughout the unit by singing only a section at a time. The first section is an overview of the three states of matter. 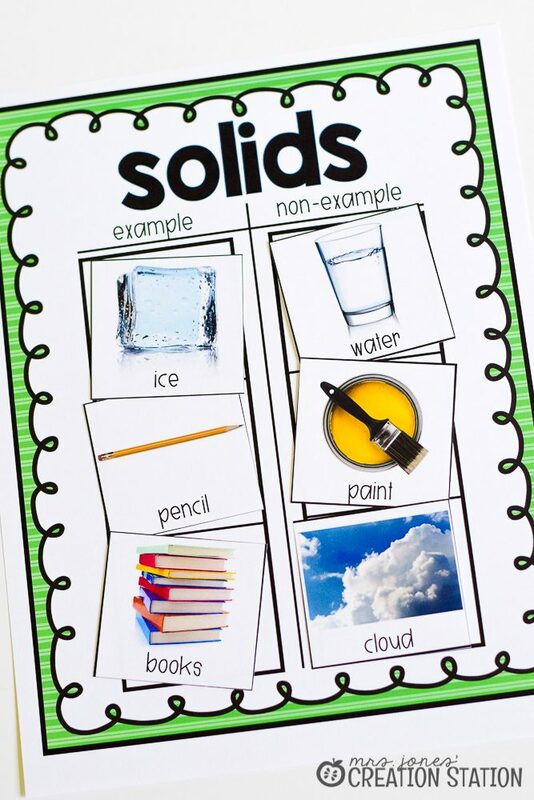 The following sections provide learners with a definition and examples of each state of matter. 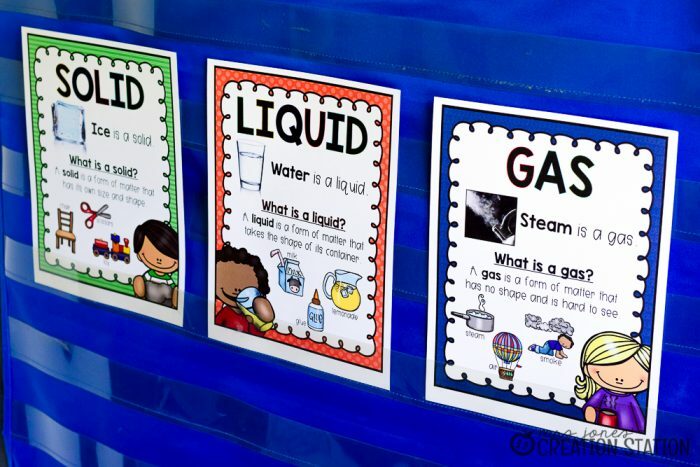 Having visual aides posted on a science wall is a most for this unit and pretty much every science unit you teach. 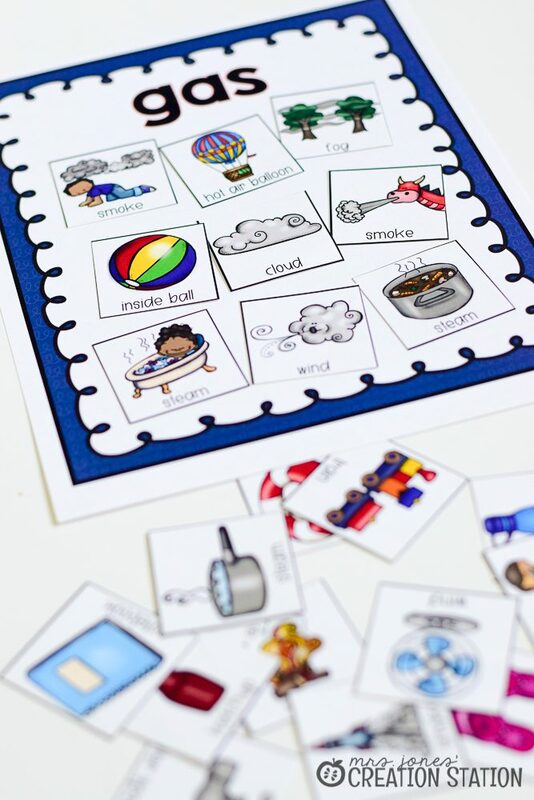 This allows your visual learners to have the content right at their fingertips (or eyeballs). 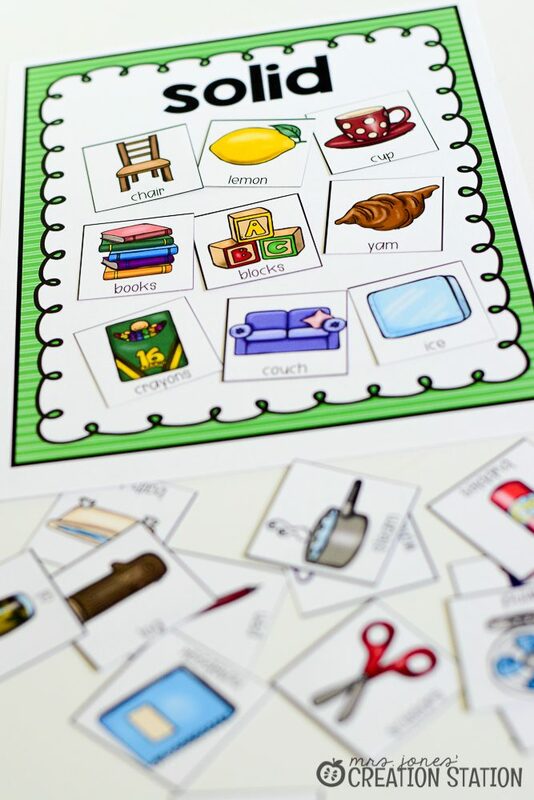 And it allows students to refer to the posters when they forget a term or concept. 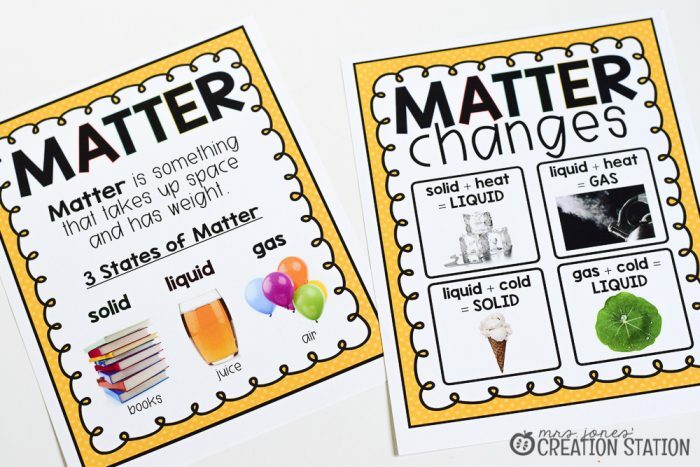 Since we introduce each state of matter and how matter can change I created posters for both of those concepts. The two main posters stay on our science wall all year as we refer to them during our thematic units. 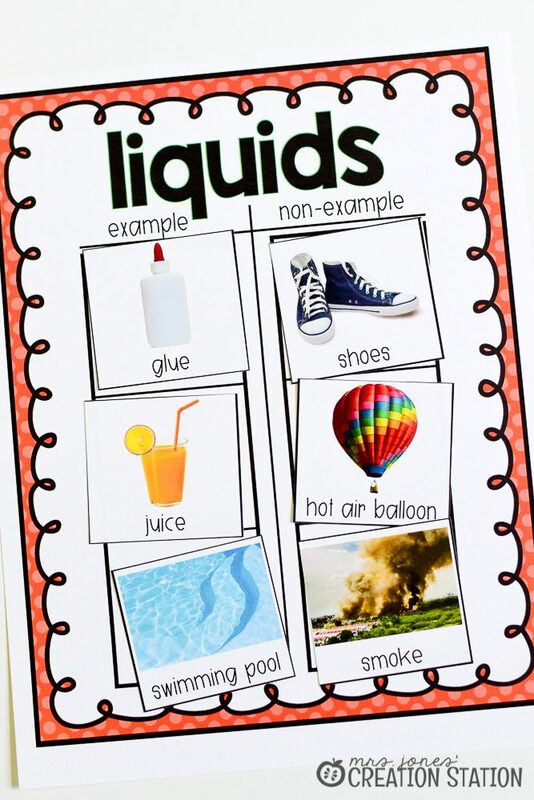 The poster for each state of matter is shared when we learn about that state of matter and doing our experiment for each (more on those below). 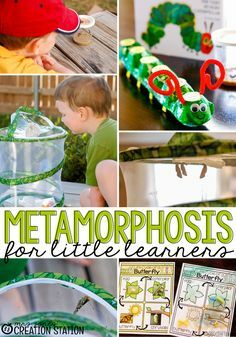 Research shows and I concur that learners can relate to seeing examples and non-examples to understand a new concept. This unit is perfect for using just that tool. When we learn a new state of matter, the second activity we do together after reviewing the poster is our sorting page. 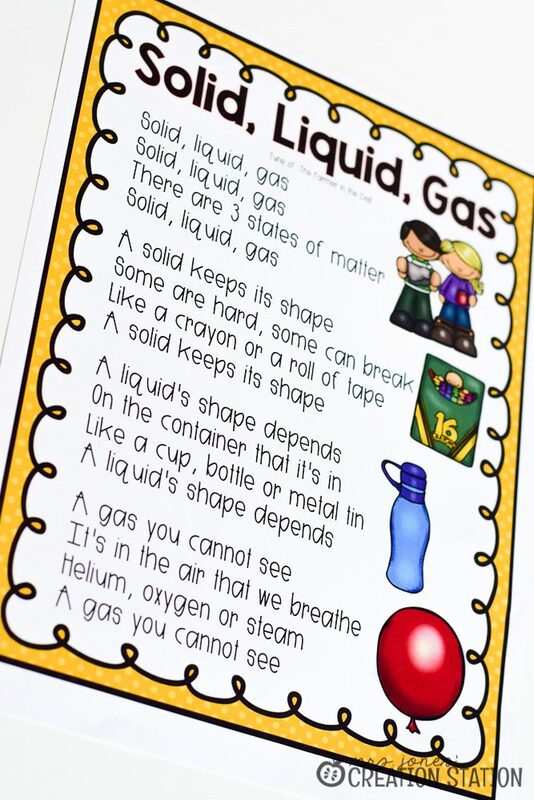 It is pretty simple and so useful in helping students understand the differences between a solid, liquid and gas. 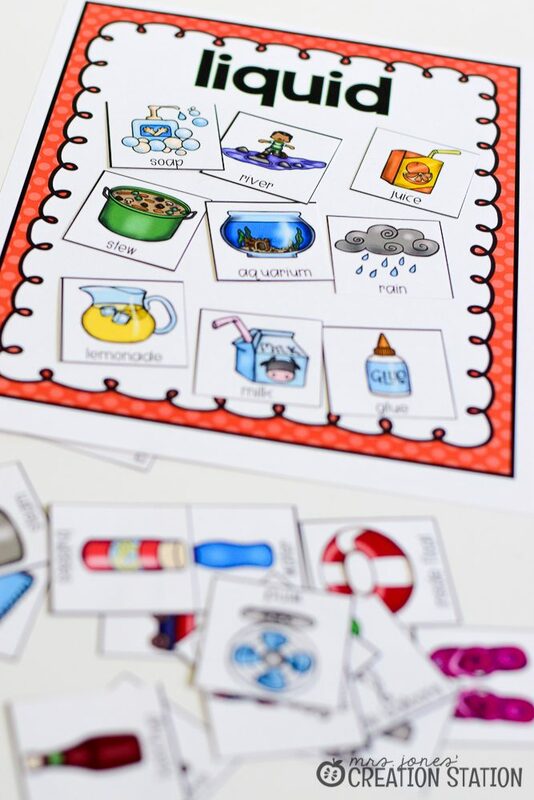 Each state of matter has 6 cards of different objects. We work together to determine which are that state of matter and which are not by using the poster to help. 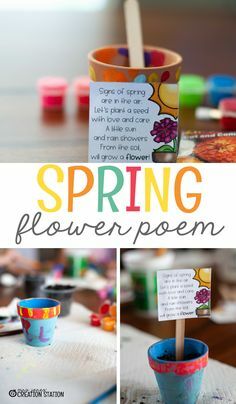 So simple and perfect! 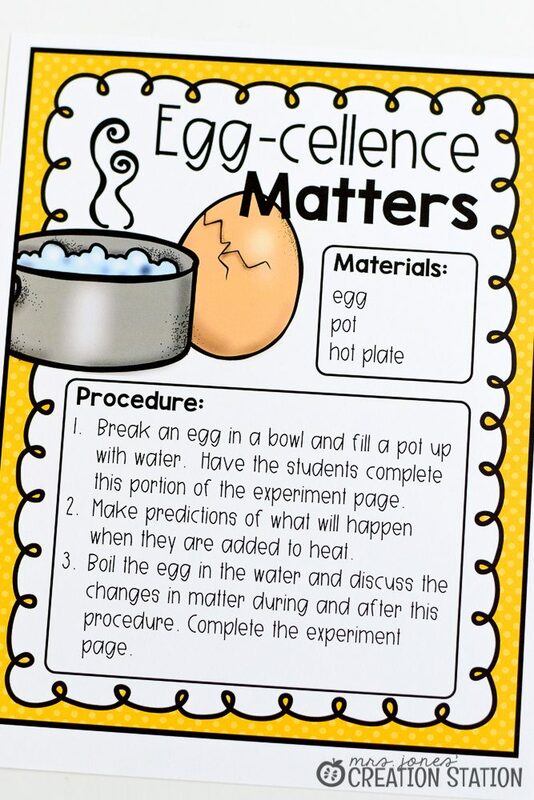 Experiments are a great way to help learners “see” each state of matter. 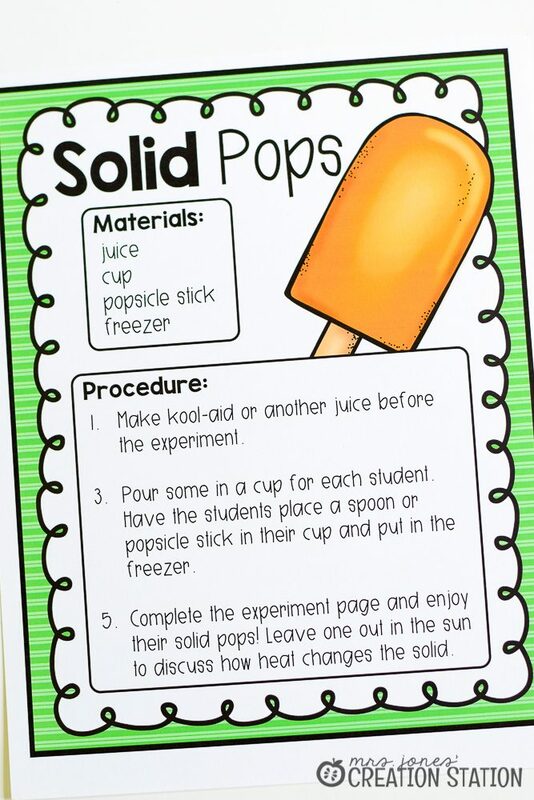 We explore solids by making popsicles together. 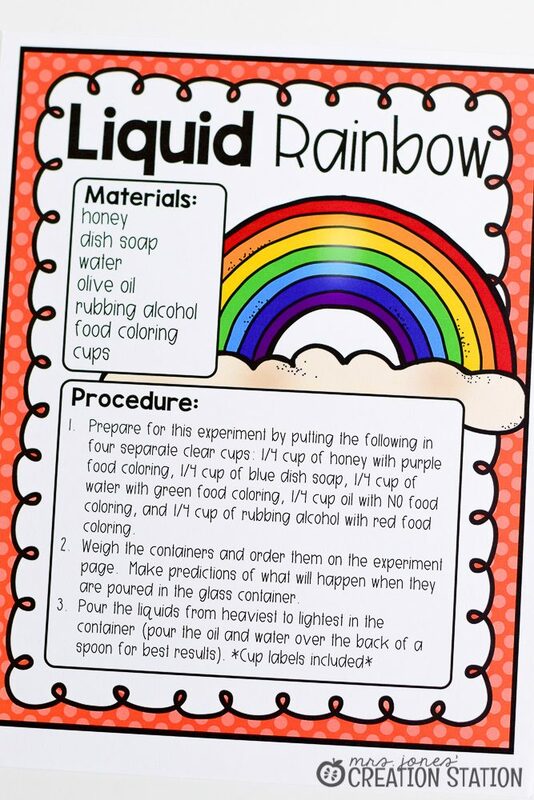 We make a rainbow using liquids. 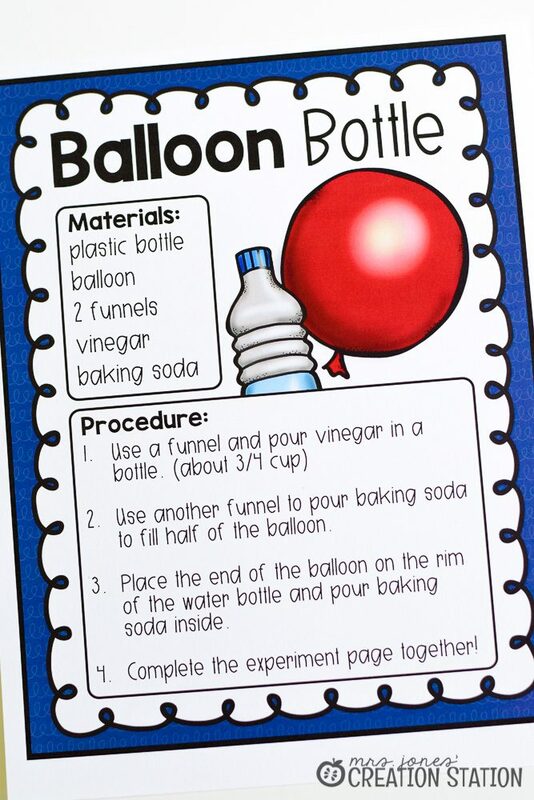 Each group blows up a balloon after making a gas with baking soda and vinegar. Finally, we discover the changes in matter with some egg exploration. We turn water into gas while changing a liquid egg into a solid all in one experiment. 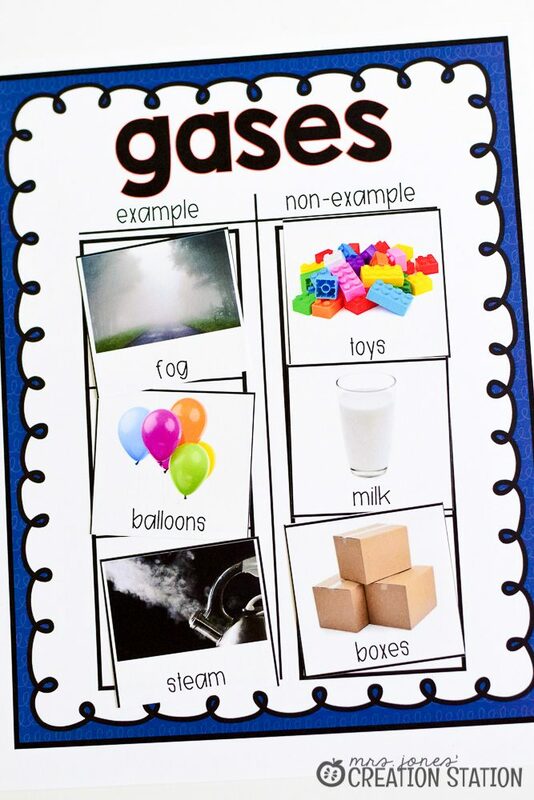 The best thing is that your learners can document all of these experiments with their states of matter booklet. 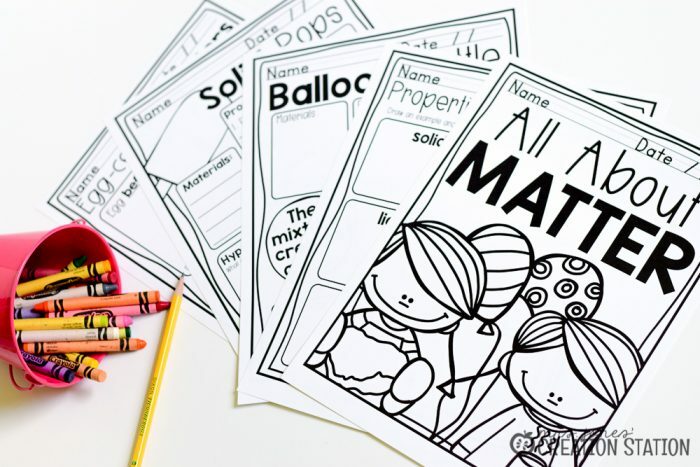 Better yet, print them two to a page and add them to their science notebooks! Learning shouldn’t end after this unit of study is over. I like to put a science center in our morning tubs to give learners a little extra practice and review. We are constantly referring to the states of matter and how matter changes during our thematic units. 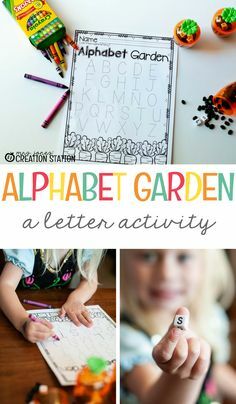 Making applesauce, explore a flame during fire safety, interact with the seasons and so much more. 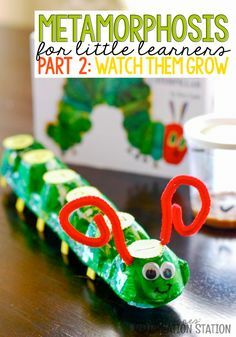 Need more ideas for science fun in your classroom? 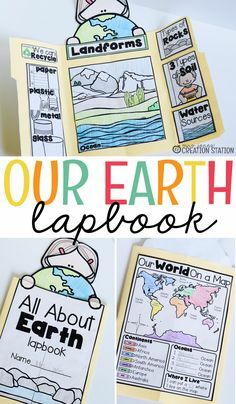 Be sure to check out my science ideas on the blog and my science resources in my store. 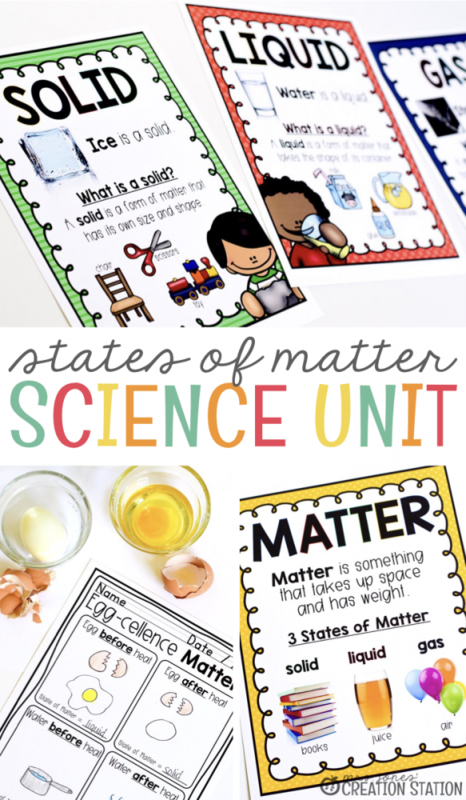 If you are planning a states of matter unit you can grab my states of matter pack to use by clicking the MJCS image below!